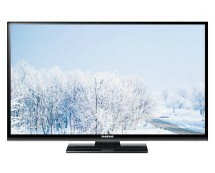 Looking for that perfect TV for your bedroom? You found it! 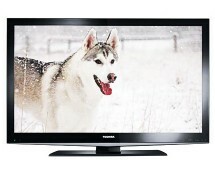 This 32-inch Hannspree TV is just the right size for a bedroom or even a smaller living room. 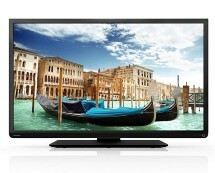 The best thing is that, even though it’s a budget TV, it still packs in all the features you need. Get the Hannspree SE32LMNB from Ebuyer.com for as low as £220.00. Hannspree SE32LMNB Review – Is Competition Getting Tighter? What’s the first thing that comes into your mind when you mention the terms “budget product”? You may be tempted to think of cut-offs and low-quality products, and maybe you would have been right a while ago, but things are changing for the better, especially in the field of TVs, where competition is so tight that manufacturers can’t afford to compromise quality. 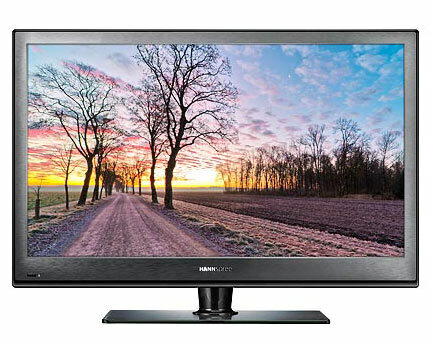 The results are good products at very appealing prices, the Hannspree SE32LMNB budget TV being the perfect example. The design of the Hannspree SE32LMNB is not very different from LG’s or Samsung’s budget TVs and even the build quality is comparable, the Hannspree feeling quite solid. It’s not the thinnest TV out there but it’s not big and bulky either so, on a scale from 1 to 5, we would give it a solid 4. Moving on to image quality, we can say that we were pleasantly surprised by the SE32LMNB, yet not blown away. Overall image quality is decent, with uniform brightness and good colours but when we stood very close to the TV we noticed that the image was not the sharpest. The primary suspect for this was the HD-Ready resolution of the display; still, in normal usage conditions we didn’t noticed significant differences compared to a Full HD display unless we played high-definition content from a Blu-ray disc. From 1 to 5, we would give it a 4 for image quality. Since we were speaking of alternative content sources, hooking up external devices is easy thanks to the presence of 1 USB port and 3 HDMI ports – the typical connectivity options found in most TVs. The USB port also offers PVR functionality, which is a useful feature to have if you’re looking for a cheap PVR option. 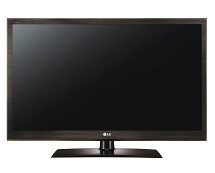 What’s not found in most TVs, especially budget ones, is the Ambient Light Sensor; we have seen a similar technology in LG TVs but that’s about it, so finding it in this Hannspree TV was a pleasant surprise, indicating that the line between budget products and regular products is getting thinner by the day. What’s not very satisfying about the Hannspree SE32LMNB is the audio side; the TV comes with two 6-watt speakers that are far from impressive in terms of volume or quality. There is a simple remedy for this, though – an external audio system. The bottom line is that the Hannspree SE32LMNB managed to demonstrate that budget products are improving and, even though some downsides still exist in some areas, things are heading in the right direction. At this rate, soon the only thing left from the budget category will be the price.